Last season, the big romance of Game of Thrones involved Jon Snow and Daenerys Targaryen, two rulers from opposite ends of the world, each represented by opposite elements (ice and fire, anyone??? ), who seem destined for each other. And then we all learned that Daenerys is actually Jon's aunt, thanks to a secret marriage between Rhaegar Targaryen and Lyanna Stark and an infamous kidnapping-that-wasn't. It's complicated. After the Season 8 premiere, Jon Snow finally knows at least one thing after an auspicious reunion with his old Night's Watch brother Sam Tarly in the crypts of Winterfell. Sam spilled the Targaryen beans, and Jon -- whose real name is Aegon -- had that "have I been banging my aunt this whole time???" look. You know the one. But there are a couple creatures on the show who have known everything the whole time, and they have giant leathery wings and breathe fire. Daenerys' dragons, of which only Rhaegal and Drogon remain, have long been a sort of litmus test for who the Targaryen queen decides to trust and who she decides to spit-roast. They didn't burn Tyrion Lannister when he saved them from their Meereenese chains in Season 6, and Drogon allowed Jon to pet his lil nose in Season 7. In "Winterfell," Rhaegal allows Jon to ride him in a How to Train Your Dragon-inspired flying montage that saw Jon and Daenerys sailing through the mountain ranges of the North. But it's the moment when the two humans are deposited beside a romantic waterfall and share a passionate kiss that got the most attention. Not because the kiss was particularly great, but because the dragons seemed to be enjoying it a little… too much. Naturally, the internet took the image and ran with it. It obviously doesn't help that the VFX designers gave the dragons heads that always look like they're creepily smiling. We've known for a long time that the dragons of Game of Thrones are smart. 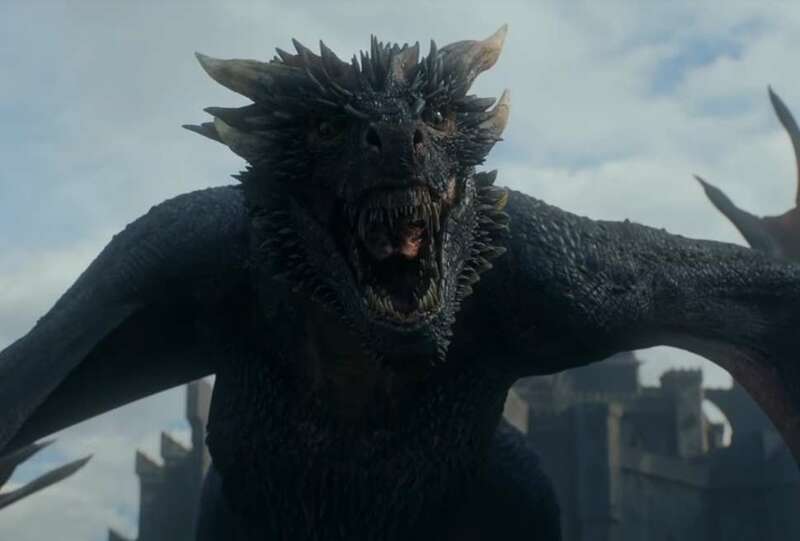 Not dog-smart, but more comparable to human levels: Dragons, according to Westerosi lore, are very intelligent, which is why Drogon seemed to know before anyone else did that Jon actually had Targaryen blood, and probably why he and Rhaegal are so into Jon and Daenerys being together. It's also one of the driving forces behind the theory that Tyrion, who was also allowed to touch the dragons, is a secret Targaryen… somehow. Now that Jon knows that he's related to the lady he's been sharing all his recent dalliances with, it's sure to complicate things immensely. If he ever needs a pep talk, Drogon and Rhaegal are here to help.